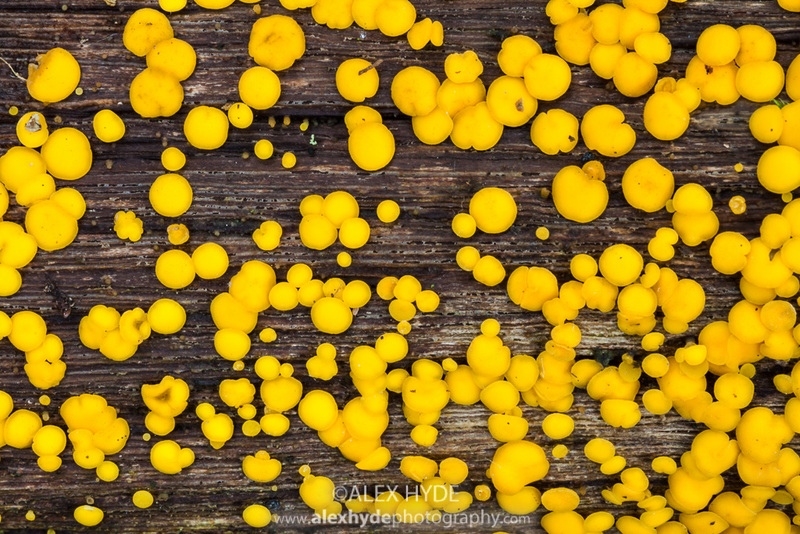 Every autumn I allow myself to indulge in a bit of fungus photography. 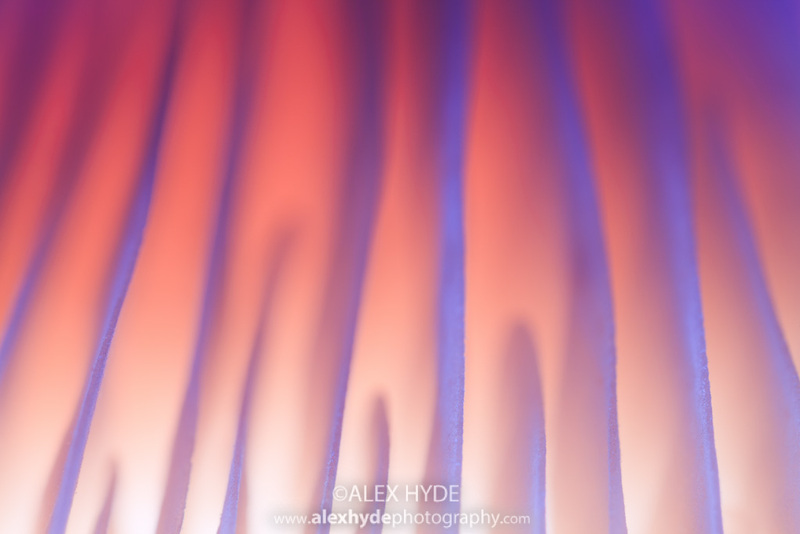 I love taking my time over the pictures, which is a pleasant contrast to some of my fast-paced insect photography. 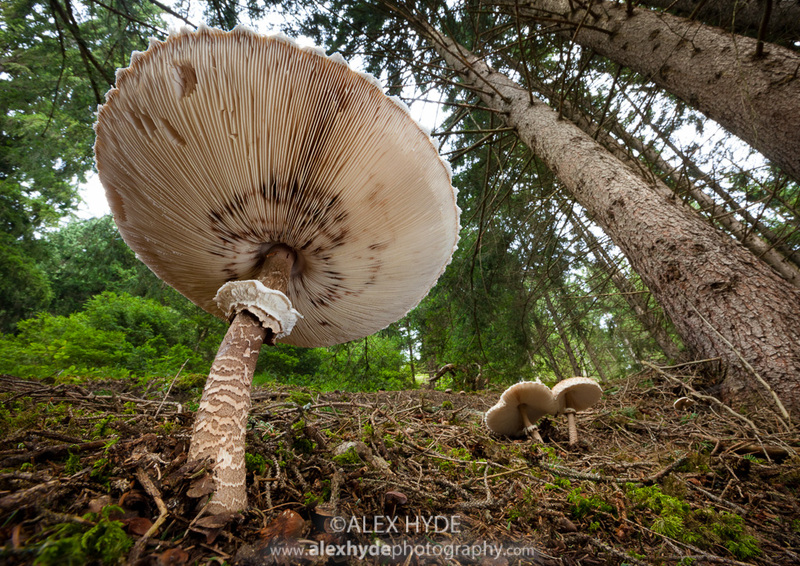 Over the years I have tried all sorts of different compositions with fungi, from clean, simple images isolating a single fruiting body with a long lens to wide angle habitat shots. Recently I have been trying something a bit different. 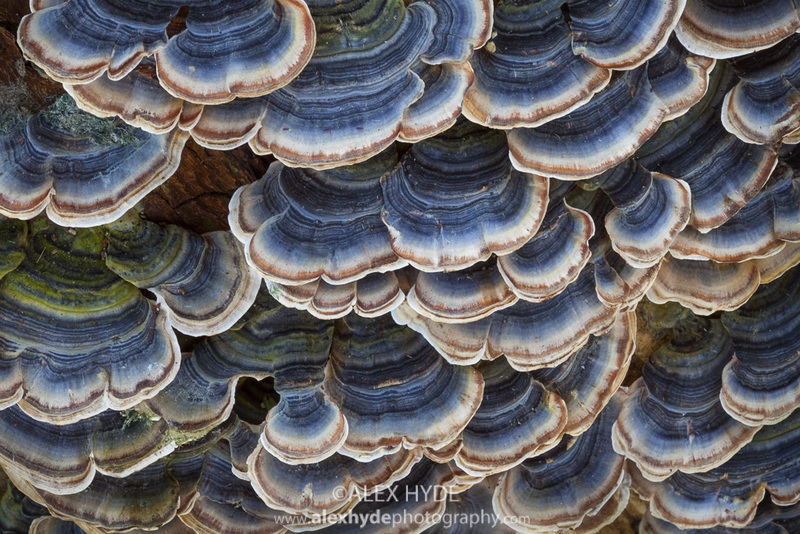 Often working at high magnification, I have been trying to produce a set of abstracts showing off the beautiful colours and patterns that fungi display. Some of the images below were done with flash, some with natural light. The first image below has been backlit with a flash, revealing a beautiful spectrum of colours. This is more a personal project than anything else and I hope to fit in more over the next few weeks. 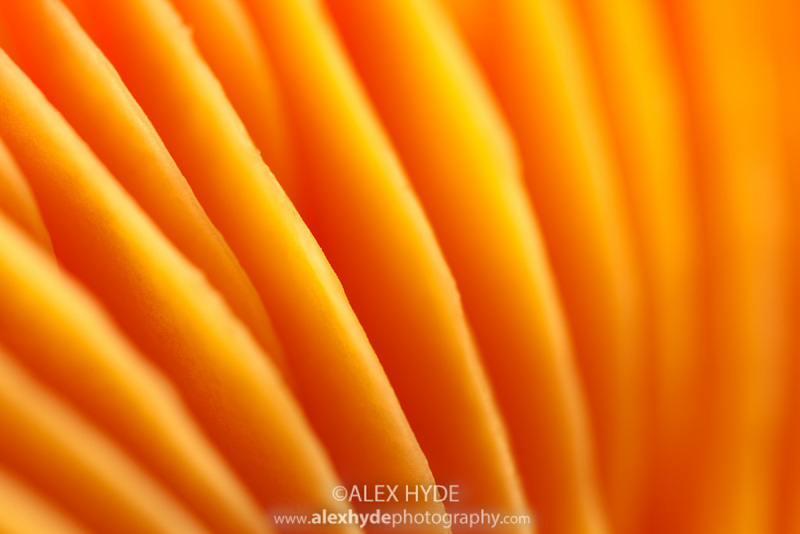 This entry was posted in Photography and tagged Alex Hyde, fungi, macro, MP-E 65mm, mushrooms, photography, toadstools on October 27, 2013 by alexhydephoto.